Letter from James Watson and Francis Crick to LP. 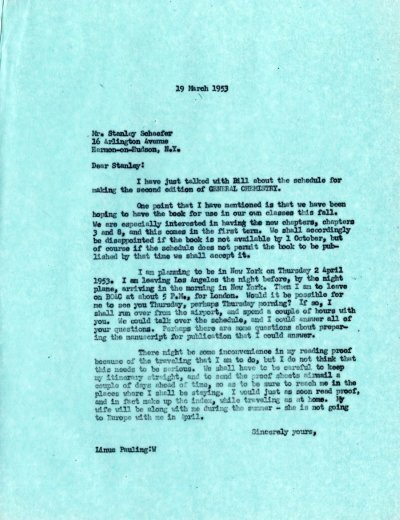 [Reply from LP to Watson and Crick February 27, 1953]. [Filed under LP Science: Box 9.001, Folder 1.32].